Richard Baker once said that the discovery of song and the creation of musical instruments both owed their origin to a human impulse which lies much deeper than conscious intention: the need for rhythm in life… the need is a deep one, transcending thought, and disregarded at our peril. It's a quote that bounces around my head quite a lot. You have everything if you have music. You have emotions that outlast words. You have a way to escape from the day to day chores of life. You have meaning in song. You have a platform to share without it seeming like you are giving too much away. You have it all when you have music. With say that I now present you with Mixtape #4. Another collection of songs that have taken me, and hopefully you, to another place. A feeling inside that is too hard to describe. New sounds which equate to new emotions. Attack in Black’s music merges old school rock and roll with modern day punk rock. In some respects, their sound resembles popular forms of melodic, aggressive or energetic punk rock. The band has also been influenced by unlikely sources from Bruce Springsteen and Neil Young, to Refused and Ramones, to Henry Miller and Charles Bukowski. Beep Beep is a rock band from Omaha, Nebraska. The band was formed in July 2001 by Eric Bemberger and Chris Hughes, formerly of Saddle Creek group Gabardine. Fanfarlo is a London-based indie pop band formed in 2006 by the Swedish musician Simon Balthazar. Utilising instruments such as the trumpet, violin and mandolin as well as more commonplace instruments such as guitars and drums, they produce carefully arranged and infectious pop songs that are both uplifting and beautifully orchestrated. Grizzly Bear's sound is categorized as experimental rock, folk rock, or just indie rock, and is most dominated by the use of acoustic guitars and vocal harmonies. In-Flight Safety is a Canadian indie rock group, currently based in Halifax, Nova Scotia. The group consists of vocalist and guitarist John Mullane, keyboardist Daniel Ledwell, bassist Brad Goodsell and drummer Glen Nicholson. Joe Boden was born in Chicago and raised in the UK. His music is acoustic alternative pop, delivered with smooth and thoughtful lyrics. Loney, Dear is the pseudonym of Swedish singer-songwriter and multi-instrumentalist Emil Svanängen. He has self-released four albums of music in his native Sweden. Other Lives is a band from Stillwater, Oklahoma. The band is most famous for its single Black Tables which features during the end of Things Fall Apart (Ugly Betty). Radio Moscow is a psychedelic blues rock band. After approaching Dan Auerbach of The Black Keys, the band managed to sign themselves to Dan's home recording studio Alive Records. Auerbach also produced their eponymous debut album, released in 2007. Jherek Bischoff AKA Ribbons doesn’t have a huge portfolio, but he was Jamie Stewart’s main collaborator on his best record - Xiu Xiu’s Fabulous Muscles. Southeast Engine is an indie-folk-rock outfit from Athens, Ohio. In and around 2007 Merrill Garbus creates tUnE-yArDs. She thought the exasperating capitalization will buy her some time. Sampling snippets of her life as a nanny on Martha’s Vineyard and later as a young musician in noisy urban settings, she weaved sounds together to make substantial rhythms and then layered her ukulele and vocals over top. There we go folks. 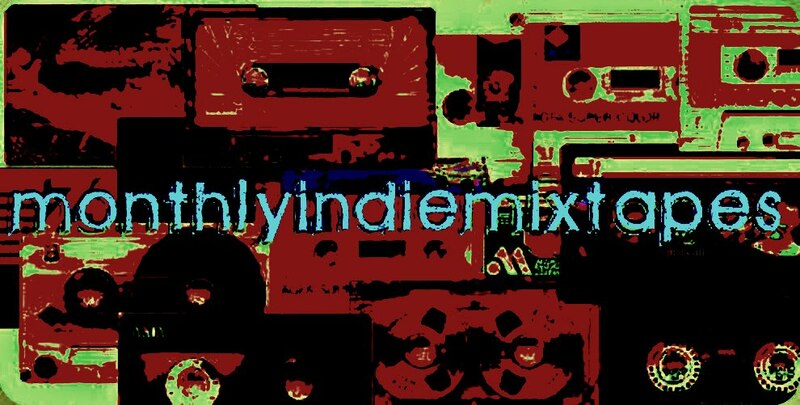 12 more little snippets of today's great Indie Music scene. Have a listen and tell me what you think, and if you like anything you hear then go buy the albums. Mixtape #4 - The Week In Sound. This blog is set up to promote and encourage bands that lay relatively low in the music scene. If you find anything here that is not to your satisfaction then please email me at menz@cupsoftea.com. Apart from that, enjoy all that you may find!! A Little Bonus For You All.